The past 18 months have not been easy for the frozen foods sector as its tries to rebuild its reputation in the wake of the horsemeat scandal. 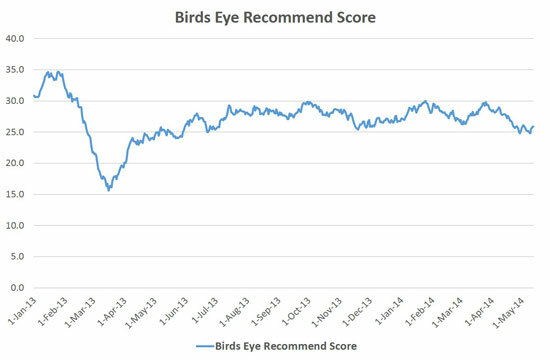 Some brands wrote open letters to consumers to try to restore trust and improve perception, but today I want to look at Birds Eye, a company that overhauled its brand in a bid to re-connect with its consumers. Birds Eye was dragged into the saga when the company had to withdraw beef ready meals from supermarket shelves a month into the scandal after they were found to contain horse DNA. YouGov BrandIndex data shows the company’s reputation dropped by more than 15 points over the first few weeks of the scandal, only to recover its losses in June. In March,the company undertook an extensive rebrand, giving the Clarence the Polar Bear mascot the boot after four years. The initial signs are that, from an advertising perspective, the change has worked for the company, with its Ad Awareness score increasing by five per cent since the rebrand. However, it has not been a cure-all solution. One of the areas particularly hard-hit was the number of people saying they would recommend the brand to others. 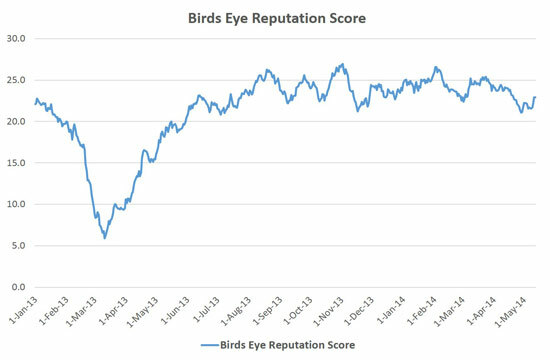 Birds Eye’s Recommend score has in fact fallen by four points since late-March and remains some ten points below its pre-scandal peak. The horsemeat furore is still casting a shadow over the affected brands. While most have recovered due to the passage of time, apologies and rebrands, there remain areas of public perception that are still struggling to recover. Only by fully understanding where these areas are can they put scandal behind them once and for all.